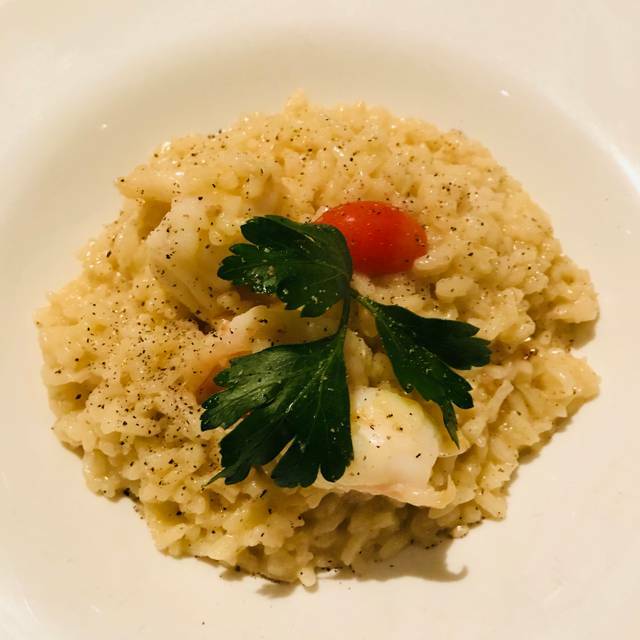 Betwen 5th Ave. and 6th Ave.
Blending 33 years of tradition with innovative Italian cooking, Il Tinello provides a rich experience that can only be matched by its delicious menu. The quality Italian ingredients, spectacular wine list and impeccable service showcase the restaurant's heritage, while the classy decoration brings new energy to every meal. The fresh homemade pastas, regional ingredients and diverse wine list boast of what's to come, yet the classics and traditions continue to tempt. Never intimidating and always comfortable, Il Tinello delivers an experience that is perfect to celebrate your big day or every day. Best Italian food experience this trip! Everything we had was excellent and service was outstanding. Il Tinello is wonderful from the moment you walk into the door. You are greeted immediately and it feels like you are coming home to see family. The food is extraordinary always! 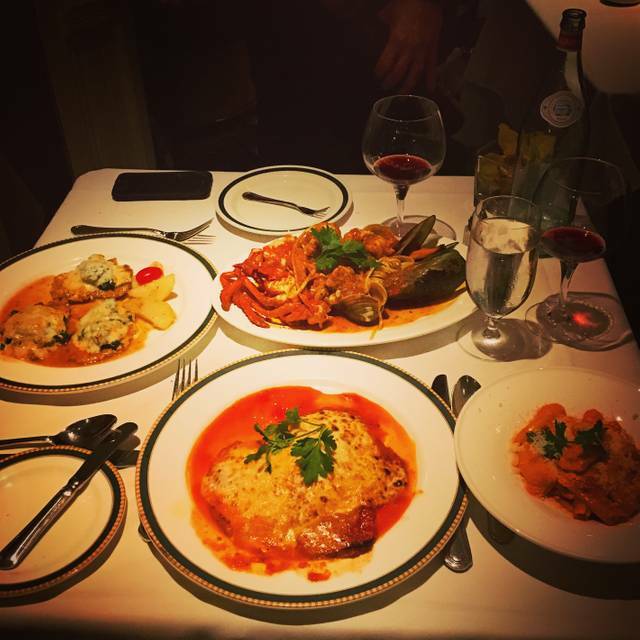 If you want quality Italian food, this is the best place in NYC. Great for business dinners, dates, quality dining experiences! Wonderful italian restaurant with excellent home made pasta. Traditional and innovative pasta creations! Beautiful place and great meal! Wonderful ambience. Welcoming staff. Small and moderately quiet. A good place to go for an excellent d inner. As always, the best Italian in NYC! Excellent food & service. SUPERB on every level - food, service, ambiance. IL Tinello is a true first-class dining experience without being pretentious. As an Italian-American who grew up in NY, I can say without hesitation that this is one of the best Italian restaurants in the city. Awesome dinner! Love this place. Great food. Perfect atmosphere and very good service. Keep up the great job!! Service and food was outstanding as always!! We always enjoy our evenings there! Food and service was excellent. Great menu and attractive specials. Overall we had a fine evening out. However, the atmosphere just is not my style--it's a bit too old, cramped and dark. The menu options were typically what you would fine in an Italian restaurant and the service attentive. Not sure that I think it's worth the cost. Nice ambience and great Italian kitchen as usual. Service suffered a little bit that night. Too much tourist style bling bling and small errors concerning service. Went here for a social dinner with colleagues. It was a great selection. 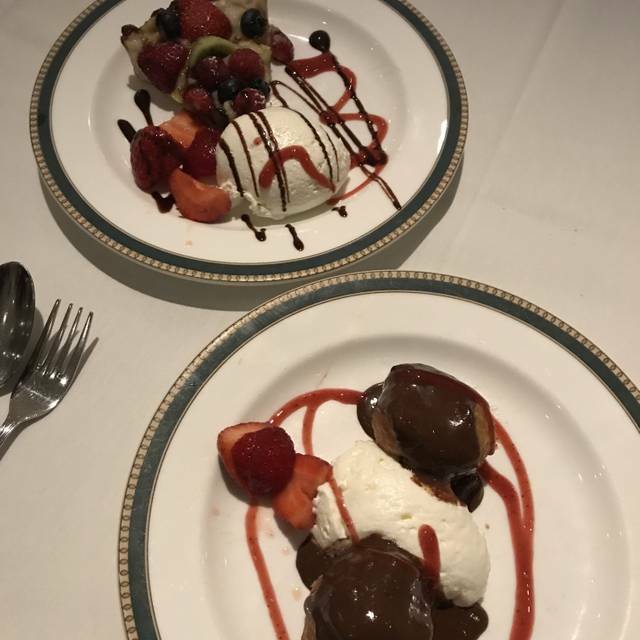 Delicious meal, excellent service, and amazing dessert cart. Eten was lekker, maar niet heel speciaal. We went to Il Tinello for a birthday dinner based on other positive reviews and were not disappointed. It is difficult to say which was better, the food or the service, since they were both excellent. The service was really genuine and you just knew they wanted you to have an enjoyable dining experience. As afr as the food, we are Italian and can say this was the real deal. We are definitely going back the next time we are in NYC - highly recommended....Buonissimo! 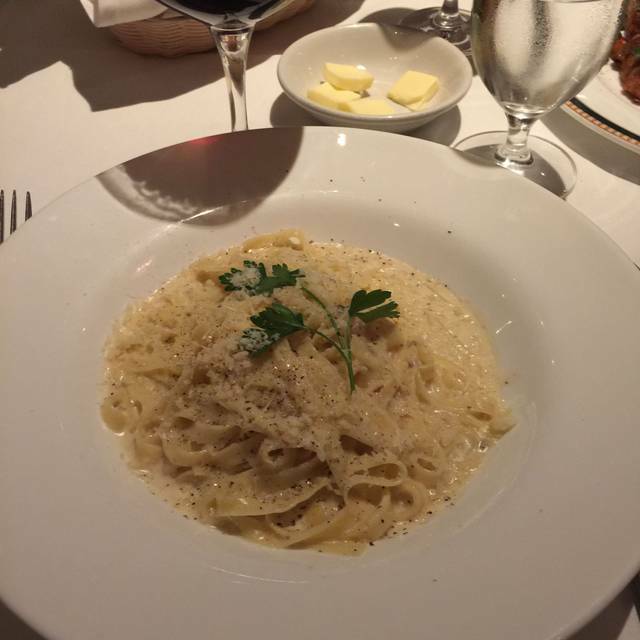 I stumbled upon Il Tinello a couple of years back, when visiting NYC with colleagues, and wanted my husband to experience the same wonderful food and service I had that first time. We weren't disappointed. We were charmed by the attentive waitstaff, and delighted with our food. We'd definitely go back again! 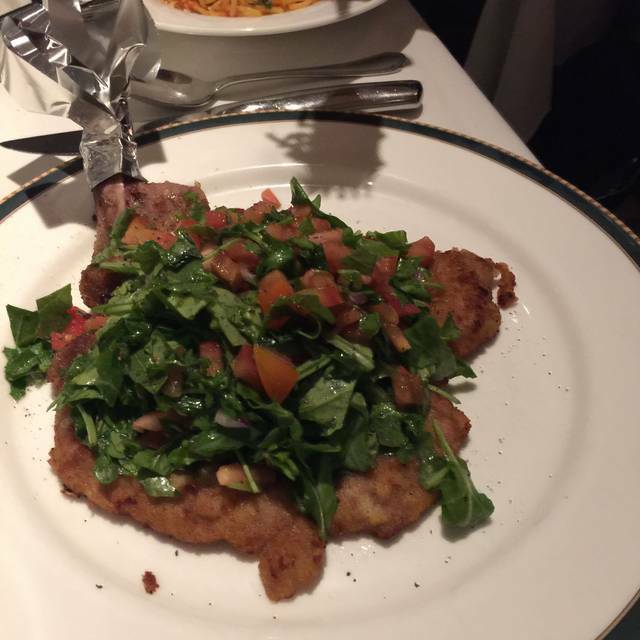 We have continued to visit Il Tinello whenever we are in NYC. It has never disappointed us. Elegant place, great food and quiet, attentive staff. But you do pay for that. First, I poured over reviews trying to pick the perfect Italian restaurant for our one day in NYC. I know some of the reviews are mixed so trust me when I saw I am sooo happy we chose this place. It is quaint and charming and exactly the atmosphere we were wanting for an authentic Italian dinner experience. Upon arrival we were seated quickly and offered drinks. After drinks were served we were each brought a piece of bruschetta, and a plate of olives and parmesan cheese..complementary!!) Our drinks were never empty and literally everything we ordered was phenomenal! We started with appetizers of burrata, prosciutto, and raw oysters. We ordered caesar salad (which was made fresh, table side and was unbelievable. And I thought my homemade caesar was special...doesn't hold a candle to thiers. Our entrees were gnocchi, veal parm, meat ravioli (special of the night), and chicken piccata....every dish was better than the next! We each tried each others food and I could not have picked a favorite if I tried. For dessert we had the tiramisu which was the perfect ending to an absolutely exquisite dinner! If you are trying to decide...choose this place! I am so happy we did! Outstanding food, service and overall experience. Will definitely be back soon!! We make sure to have at least one dinner here every time we come to NYC. The staff is fabulous - your drink is in your hand practically before you’re done ordering it, and the wait-team attends to your every need without hovering. 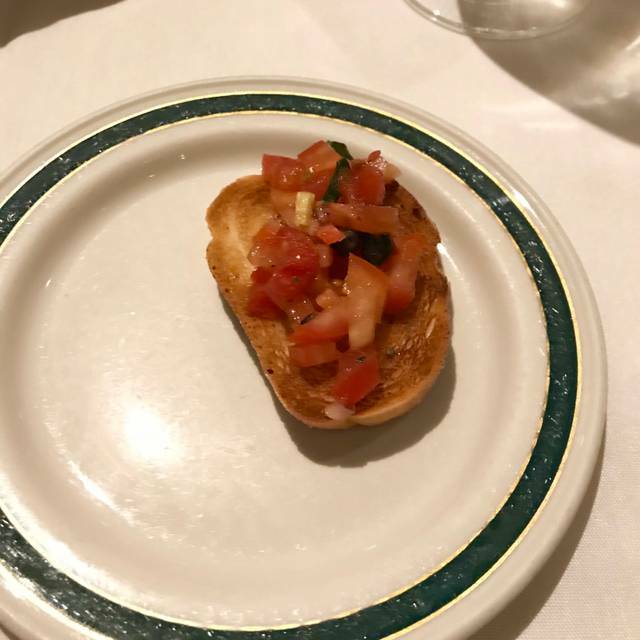 We always start with a Caesar salad, prepared tableside, then usually order whatever the special pasta is that day, although everything I’ve tried on the menu is excellent. Loved it, second visit and we will be back. We come here every time we get to NY. The pasta is amazing & you can actually hear the person across the table from you. Outstanding and consistent dining experience. Food is superb. Fish always fresh. Large interesting menu. Willing to modify dishes to meet tastes and dietary needs. The service is always terrific and impeccable. Owner/maitre'd is there and keeps close eye on team, which clearly loves working there because almost never changes. One of very best in NYC and the world. It is our favorite in NYC. Place was great!!! Food was amazing!!! Service was great!!! We were sorry we couldnt stay there longer due to a play we had to go to... definitely will be back!!!! Wonderful!! The food and service are top notch! We try to visit every time we visit the city and are never disappointed! !